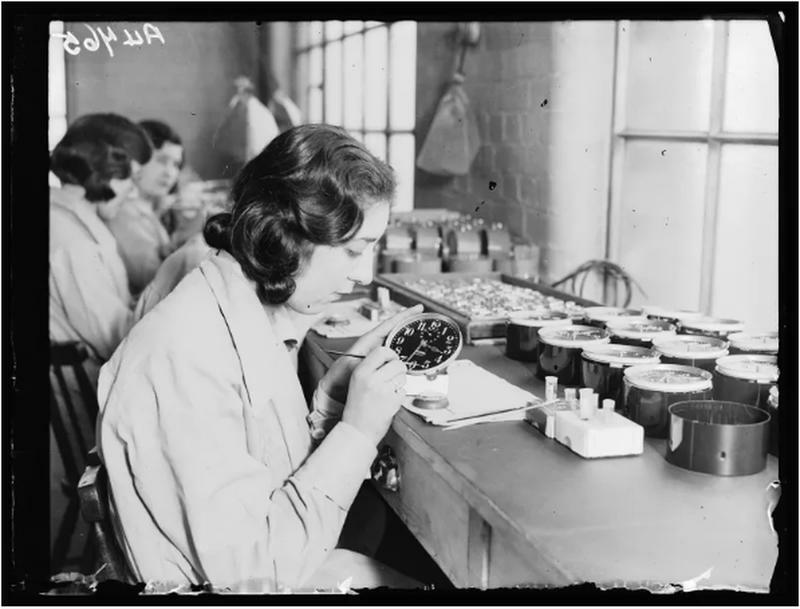 During the First World War, hundreds of young ladies labored by painting watch dials using luminous radium paint in clock factories. Literally "glowing in the dark" after their shifts, the girls started to fight a legal battle against the injustice of their employer denying their claim when they began to experience horrible side effects due to radium exposure. Grace Fryer, an 18-year old youngster who wanted to help the war effort, started to work as a dial painter on April 10, 1917 at the United States Radium Corporation (USRC) in Orange, New Jersey. Little did she know that this job would change her life and the US labor laws forever. The new element radium, which had been founded by Marie Curie, was utilized to paint watches and military dials by the working class women who flocked the studio after war had been declared. Dial painting paid more than three times the usual factory job and it was considered as "the elite job for the poor working girls". 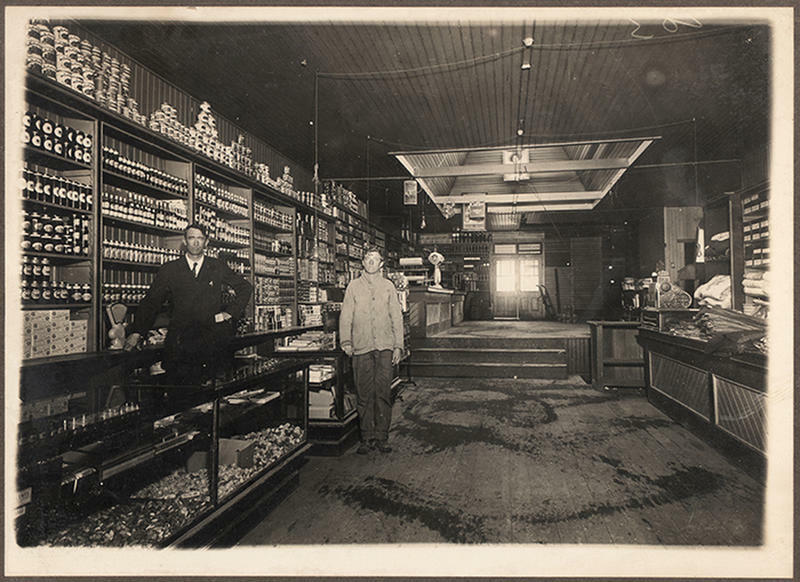 Several of these laborers were teenagers, other than the fact that they had small hands perfect for the aesthetic work; they were seeking financial freedom in a time when female empowerment was thriving. Alluring these girls to this job was the radium’s luminosity because by the time their shifts end, they would actually glow in the dark. They would sometimes wear their best dresses to the studio to have them shining in the dance halls at night and even go so far as painting their teeth with radium to have that glowing smile which would attract their suitors more. Obediently following the technique they were taught, Grace and her colleagues would slip their paintbrushes between their lips to create a fine point --- a practice that was later called “lip, dip, paint routine”. It was a technique to fit the brushes to the tiny dials that were sometimes only 3.5 centimetres wide. Mae Cubberley, who trained Grace with the procedure later remembered that she had asked “Does this stuff hurt you?”, and she was answered by the manager named Mr. Savoy “Naturally you don’t want to put anything in your mouth that is going to hurt you. You don’t need to be afraid”. But it was all a lie. Even Marie Curie herself had suffered radiation burns from handling this element. Many people died of radium poisoning which is why the men at the radium companies wore lead aprons and use ivory-tipped tongs when working with this element in their laboratories and yet the dial painters were not furnished with such protection. In 1922, Mollie Maggia – a colleague of Grace – had to quit work because she was sick and did not know what was wrong with her. It all started with some of her teeth aching that were then extracted, followed by agonizing ulcers seeping with blood and pus that made her breath foul. After that, she had aching limb pains that made her unable to walk, but the doctor only sent her home with aspirin concluding that it was just rheumatism. Eventually by May of 1922, Mollie was desperate as she had already lost most of her teeth and her lower jawbone broke and was entirely removed. Literally falling apart, Mollie wasn’t the only one now with this condition, Grace Fryer and some of the radium girls were also starting to suffer pains in their jaws and feet. The disease quickly spread to Mollie’s throat tissues and ate its way to her jugular vein. 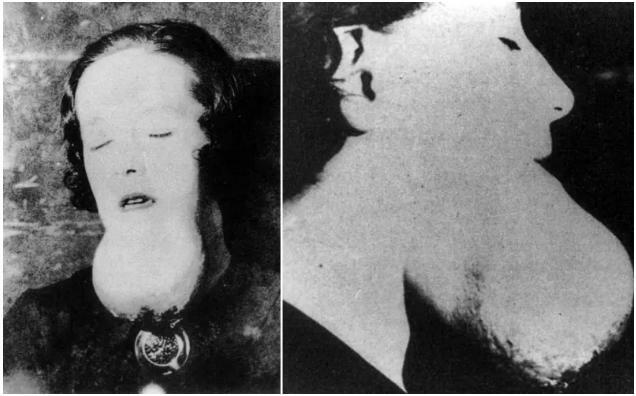 On September 12 of 1922, Mollie died at the age of 24 due to hemorrhage as her mouth became flooded with blood. If these ladies demise were not due to the same problems as Mollie, they were enduring sarcomas which are huge cancerous bone tumors. For nearly two years, USRC denied responsibility for the deaths linking to radium. By 1924 when their business deteriorated due to these “gossip that wouldn’t go away”, they finally appointed an expert to look into this issue. But when the expert confirmed the link between the deaths and the radium, the president of the firm was enraged and published the opposite findings instead, saying that these women were just “palming off” their illnesses on the firm in their attempts to rake off financial support for their mounting hospital bills. With the report silenced, the radium girls were having difficulty linking the illnesses to the radium. However, by 1925, Dr. Harrison Martland formulated tests that proved the radium poisoning. He explained that externally applied it was dangerous, and when ingested internally even in small amounts, created a damage thousands of times greater. Subsequently, he justified that the women’s bodies was now emitting destructive radiation that “honeycombed” their bones which literally bored holes inside them while they were still alive. 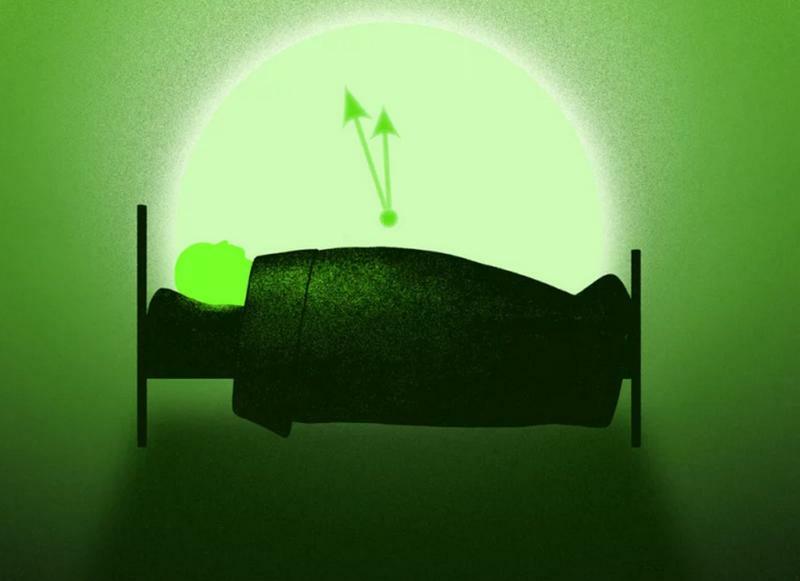 Those damaged bones began to glow eerily due to the radium implanted deep within them: the light that does not lie. The tenacity of the radium girls to pursue the fight against the injustice paved the way for others to band together despite the radium industry’s attempt to discredit the discovery of Martland. Grace, being a daughter of a union delegate, led their fight, even with an existing ailment and countless lawyers turning her down. At last in 1927, Raymond Berry accepted their case. But time was running out because the girls were only given four months to live and were coerced to settle out of court. Nevertheless, the proceedings went as Grace had planned it – to raise the awareness about radium poisoning for the New Jersey radium girls’ case reached front-page news across America. A dial painter in Illinois, Catherine Wolfe, read the article with horror. They were experiencing the same problems and she was seeing her friends dying before her. 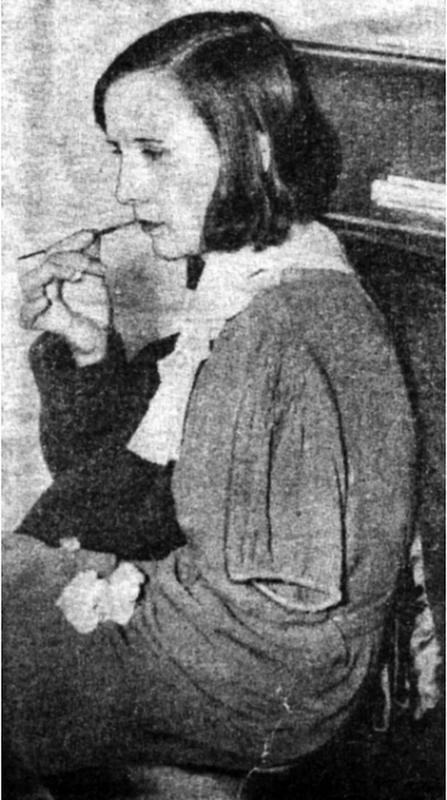 During mid-1930s, Catherine started to fight for justice. Despite being shunned by their community for pressing charges against the few firms left standing during the Great Depression, she went to court and gave testimony from her deathbed. They won, with the help of her pro bono lawyer, Leonard Grossman. The ghost girls’ case was among the first reasons in which employers were made responsible for the employees’ health, subsequently leading to establishment of life-saving regulations of the Occupational Safety and Health Administration. We all benefited from their determination and courage. Grace and Catherine were just two of the few women we need to give recognition to and salute them as fearless champions, who shine not just in history but also in their graves due to the radium embedded in their bones.